In honor of the 45th Anniversary of the Glorification of Saint Herman of Alaska, an exhibition—“Russian America: The Alaskan Native Spiritual Legacy”—will open at Villanova University here on January 22, 2016. The exhibition, which runs through May 16, was organized by Archpriest John J. Perich, Curator of the Metropolitan Museum of the Orthodox Church in America and Saint Tikhon’s Monastery and Seminary Icon Repository, South Canaan, PA, and the Rev. Richard G. Cannuli, OSA, Villanova University Art Gallery. 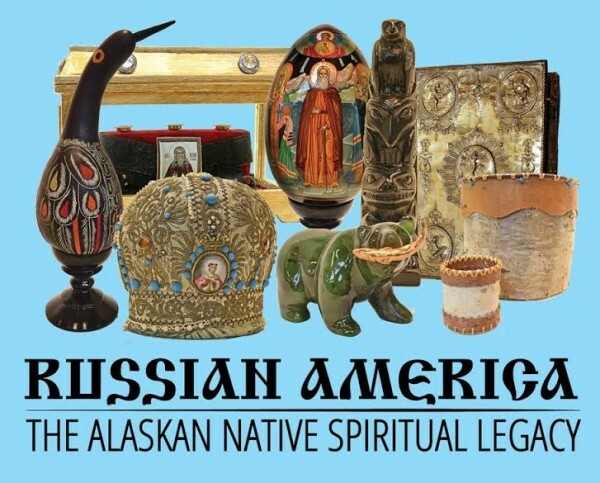 Artifacts on display reflect the various native American peoples of Alaska, their culture and the spiritual legacy of the Russian Orthodox Church. An opening reception will be held at the Villanova University Art Gallery, Connelly Center, 800 Lancaster Avenue, Villanova, PA on January 22 from 5:00 until 7:00 p.m. Detailed information on the exhibition may be found at www.ArtGallery.Villanova.edu and www1.villanova.edu/villanova/studentlife/artgallery/current_exhibit.html.